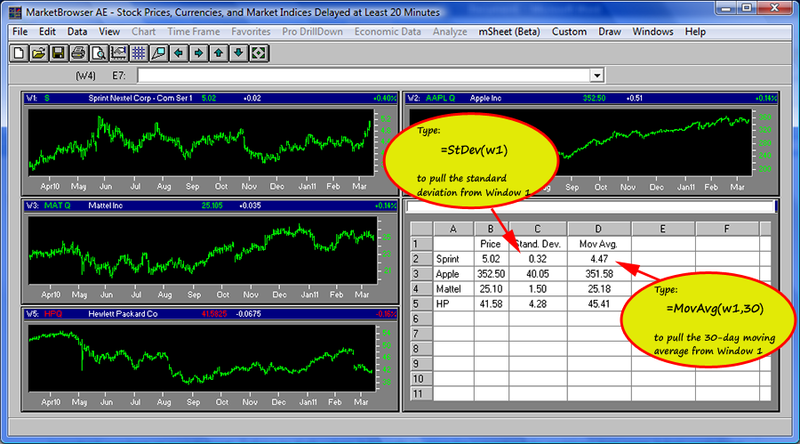 Sometimes you just want to see the numbers—so put an mSheet™ live summary next to your charts! With this spreadsheet-style, live, numerical scorebox, you can watch key numbers & calculations update as new data comes in. 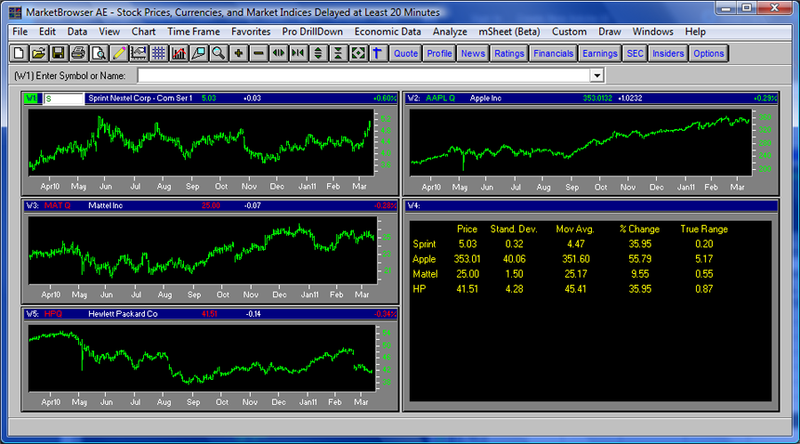 Take-in all your vital numbers with a single glance. Creating an mSheet™ - Now we find a Clear Window, go to the menus, and select 'mSheet'-->'New Sheet'. Our mSheet appears in Window 5. 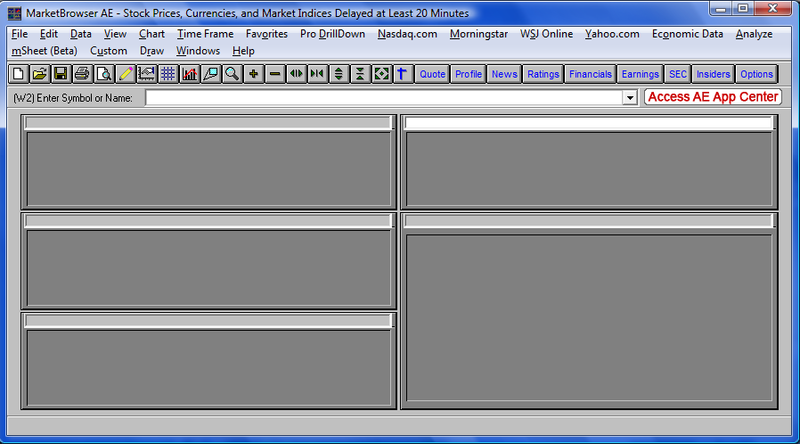 Next, we set up our sheet by selecting cells and typing in the names of our stocks and column header: "Price". 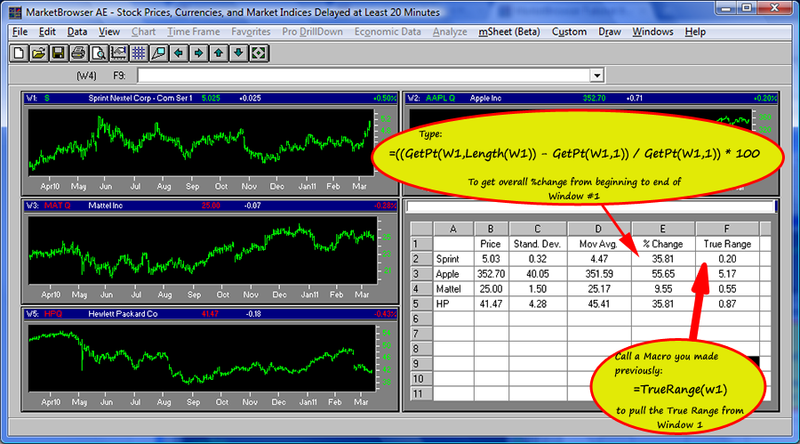 Creating a Price Watchlist - Here we enter the formula =W1 into a cell. Presto! The latest value in Window 1 displays in our watchlist. This is a live cell, which means it will monitor Window 1 and update automatically as W1 brings in new values—even if we change the symbol in W1! In column F, we built and used a custom macro called =TrueRange to calculate window #1's true range. AE Tip: Learn more about building complex formulas with AE by using Macros here. #7 - Flip the Switch- Now that your edits are done, all that's left is to switch the mSheet to a display mode. Go to the 'mSheet' menu and select 'Sheet Views' to flip the mSheet into your favorite display. 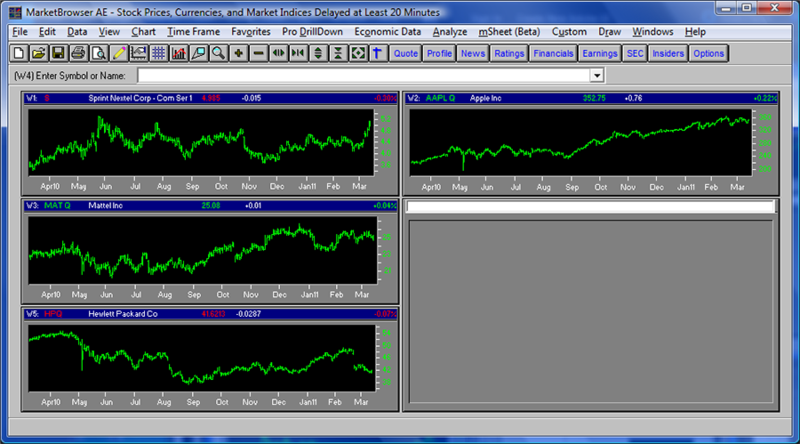 Now just sit back and watch your live calculations update as the charts they're based upon refresh with new data. 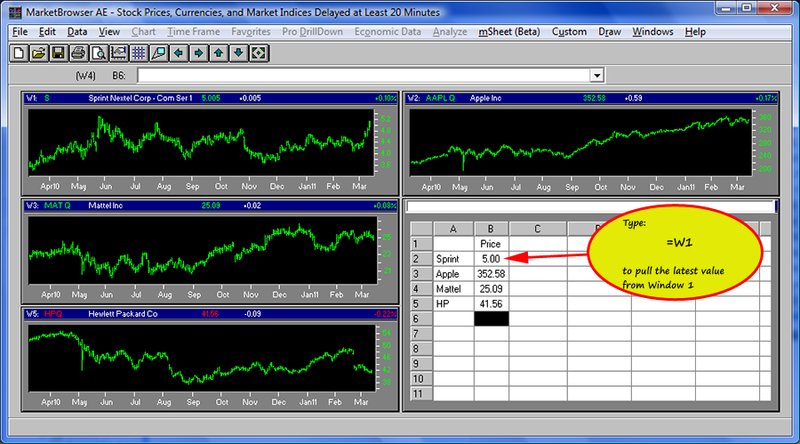 Scorebox your investments with mSheet™ & More - Order AE Today! mSheet is a truly unique new tool that can provide you with an advantage over your competitors. This introduction was just the tip of the iceberg. 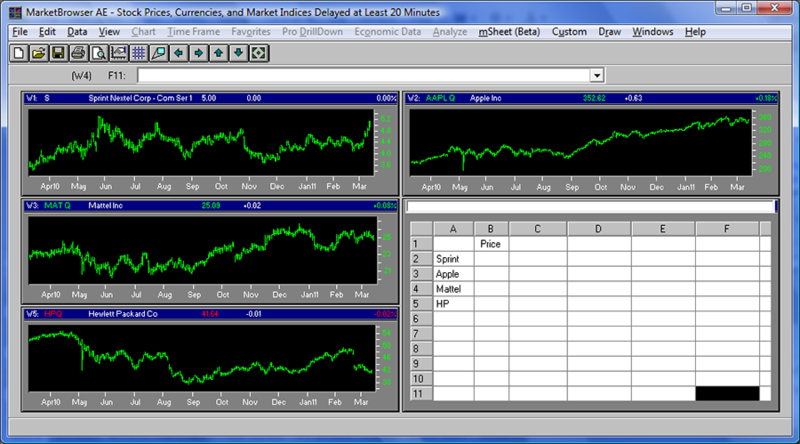 mSheet allows you to combine the power of charting and spreadsheets, all on the same display. Read more about MarketBrowser AE's mSheet here!